B/W photograph, 5" x 3 1/2", of Main Street parade marchers and onlookers, including four women pushing baby carriages. Overexposed and poor contrast. 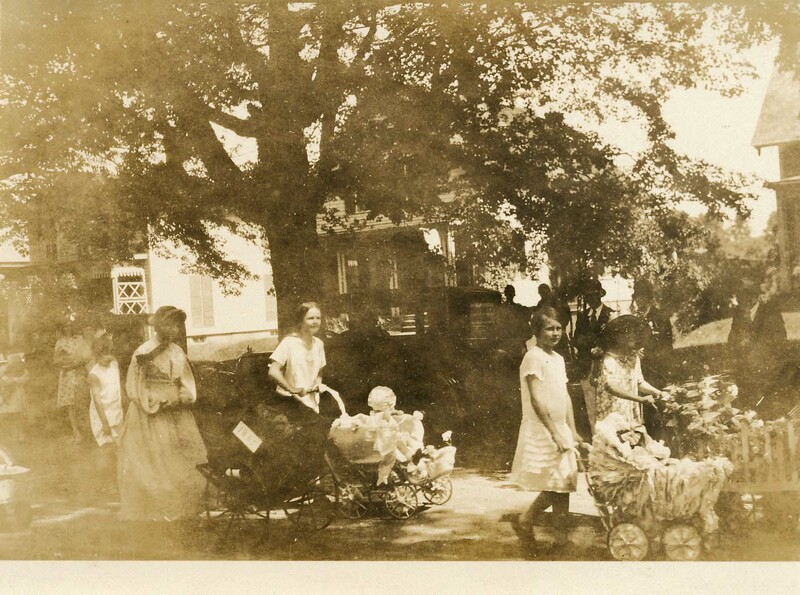 Unknown., “Photograph of Hassell Family Women Pushing Baby Carriages in Parade,” Conway Historical Society, accessed April 21, 2019, http://conwaymasshistory.org/items/show/897.